Depositions are a very important part of any litigation process. They play a key role during the discovery stage, and help the judge and jury in deciding the outcome of a case based on the recorded statements of witnesses before trial. 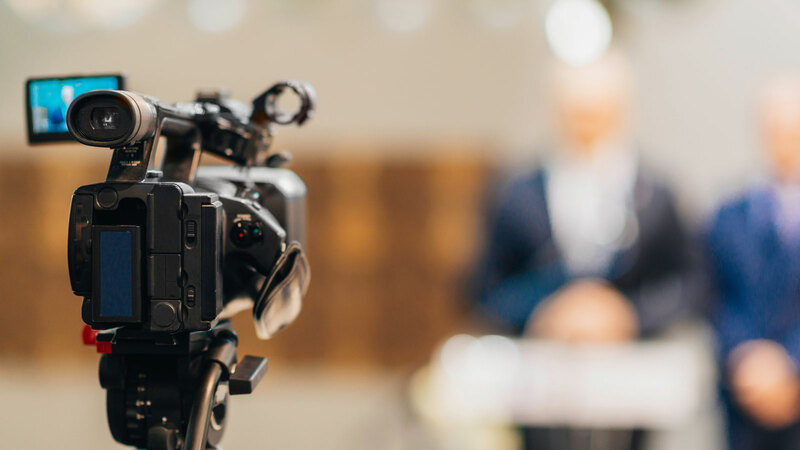 At FORWARD marketing, we document depositions accurately through high quality video and audio equipment in order to ensure that every nuance is recorded accurately. Our video depositions enable you to observe the behavior of witnesses and suspects during testimony, capturing each expression, reaction, and pause seamlessly. We use HD video cameras and high-gain microphones to ensure optimal results. With such high quality video deposition, the process of evaluating cases, conducting negotiations, and making courtroom decisions becomes a lot easier. Moreover, it also opens up the possibility of getting statements of witnesses who are residing in different areas and are unable to travel to the court or an attorney’s office. Regardless of the nature of testimony, our video depositions make it easy to understand the recorded statements and evaluate them from different angles. They open up better opportunities in questioning key individuals and witnesses in a case, as they provide extra time to think of more relevant and effective questions as compared to when the witness is on the stand. Video depositions also enable the involved parties to settle their conflicts and claims out of court, which save time and resources that would’ve been wasted otherwise. Live Depositions: Our live-deposition services make teleconferencing possible in courtrooms. It offers great convenience for witnesses who are unable to show up during hearing to give their testimony, and appear as if they are present in the courtroom. We also offer private and group chat functionality so that witnesses can easily communicate with their attorney without making compromises on their privacy. Video Services: Adding a video deposition of a case can make a great difference in a court hearing, since it allows the jurors and judge to better assess a testimony than a written deposition. It is especially helpful in cases where there are several witnesses or other complicated issues. FORWARD marketing’s video specialists are rigorously trained and certified in effectively using equipment involved in the video deposition procedure. Our team has both the knowledge and technical proficiency in all federal and state rules regarding video depositions. When performing a video deposition, we focus on providing reliable and consistent service from beginning till the end. Our process is hassle-free and simplified, and takes away any additional work from your law firm, enabling you to focus on the case at hand. If you are looking for reliable video deposition services to support you firm, contact FORWARD marketing today at (888) 590-9687 to schedule a free consultation and evaluate your options.